Anna is currently the New Vic resident Assistant Director. 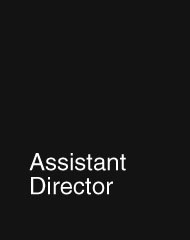 Other Assistant Director credits include: Trying it On (China Plate); Wings (Young Vic); We’re Here (National Theatre, NTW & Volcano Theatre); Bordergame (NTW); Crazy Gary’s Mobile Disco (Waking Exploits); Last Christmas (Dirty Protest). Directing credits include: Opera Scenes Project (RWCMD); Five Plays: Wings/Signs (Young Vic); Zero For The Young Dudes, The Government Inspector (Sherman Theatre); Dare to Reimagine (Park & Dare Theatre); Lady Lust (Birmingham Rep); The Drowned Girl, NSFW (Chapter Arts Centre); Blud (The Other Room).